The Talons- Centennial HS Band/Color Guard Boosters – To aid and assist students in our performing arts program. Welcome to The Talons- Centennial High Schools Band/Color Guard Boosters. Our board, along with all of our wonderful parents, not only fund raise, but support our wonderful programs year round. We are always in need of lots of parent help. Please contact us and someone will help get you involved. Talons would like to congratulate our Centennial High Color-Guard on their successful WGI trip to Las Vegas, Nevada! A special thank you to Mr. Ouska our wonderful music instructor, Jonathan Hernandez and Kody Hernandez our amazing coaches, and Krista Dunbach and Melanie Hohler our chaperons for all their hard work. This group of people put in lots of hours to make this trip a memorable experience for our students. We are working on posting pictures of from our weekend trip. So please encourage your families, friends and co-workers to follow us on Facebook, and Via the web. This will allow our sponsors to know how their donations made an impact in our student’s achievement. Now on a different note! We still have one more trip that’s up and coming. On May 4, 2019 your students have been invited to play at Music in the Parks at Magic Mountain. If your students have not mentioned this trip please feel free to reach out with any questions. We are still looking for donations to make this a successful trip. We will be discussing the trip at our next meeting on April 1st, so we encourage everyone to attend. We are now able to accept your monetary donations through paypal. Head over to our Partnerships page and select what works for you. As always we greatly appreciate your support. 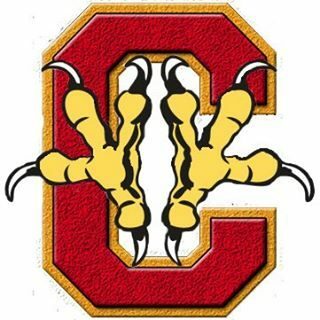 The purpose of The Talons is to encourage and assist students of Centennial High School in all band and color guard endeavors. It is also our goal to aid and assist the Centennial High staff and faculty in any way possible in their efforts to aid Centennial High students involved in all band and color guard and promote the general welfare of the students.